Is Auto Insurance Necessary Where I Live? No matter what state you live in, you need to have car insurance. 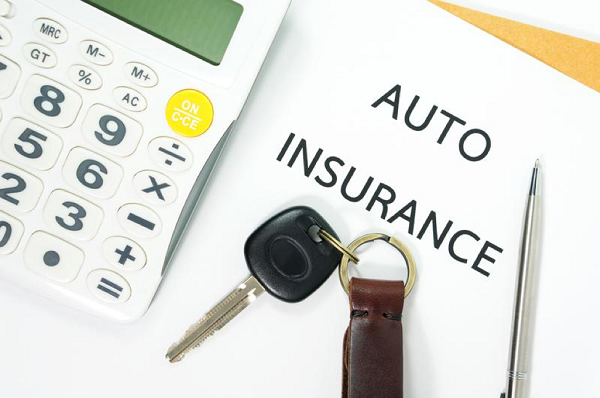 Auto insurance is mandatory, but even if it wasn’t required by law, it can provide financial protection for yourself and anyone else who chooses to drive your vehicle. In some cases, an insurance policy can protect your car from damage done while in a parking lot or parked under a tree. Perhaps the best reason to have coverage is that you could face significant legal penalties for failure to have it. Penalties could include a fine, jail time or an inability to register your vehicle. If you get into an accident, it may not be possible to seek compensation unless you have a valid auto insurance policy. In the event that an accident is your fault, you are 100 percent responsible for paying damages incurred by others. 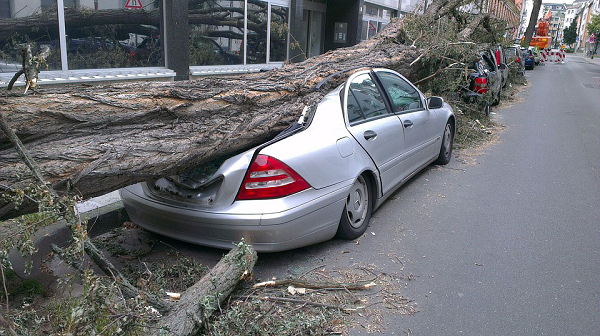 Let’s say that your car is parked under a tree when one of its branches falls off and strikes your car. With a comprehensive insurance policy, your policy pays most of the damage to the vehicle. The same is true if it is damaged by hail, lightning or debris kicked up by other cars driving on a gravel road. Contacting car accident legal professionals could be helpful in being reimbursed for your loss. Why Might Individuals Drive Without Proper Coverage? One of the most common reasons people drive without insurance is because they think it costs too much. However, spending $100 a month for coverage is much less than the thousands of dollars or more in damages caused in an accident. Other reasons for not paying for insurance includes younger folks not wanting to pay the premiums due to their demographics, or for those who have had a DUI who must have increased premiums, or find it difficult in having an insurance company want to insure them. Most insurance companies allow you to purchase insurance coverage online and have the policy take effect whenever you want it to. If you purchase a policy before your current one expires, the current insurance provider will provide a credit for the unused portion of the policy. Buying auto insurance is necessary no matter where you plan to drive or what type of vehicle that you own. To learn more about insurance requirements or how to purchase a policy, feel free to talk to an agent in your area or to someone at your local DMV office. A small business allows you to have the freedom to be your own boss in a sense. When you are the owner of a small business, you can set your own schedule. Apart from that, there are plenty of tax benefits that you can receive when you are a small business owner. Basically, you can write off several of the expenses that you incur in your business as a tax deduction, so each year, you will pay small amounts on your taxes. When you run your own business, you are able to focus on your passion, and make your passion your career. When you own your own business, you have much more freedom than an employee when it comes to how you work, when you work, and what you do, but there are other things that you have to keep in mind. Instead of just having one boss, you have multiple bosses. Your clients now become your boss, and that means that you have to be ready and willing to be at their beckon call to maintain a good relationship with your clients and get more referrals. You have to also pay for more items or services upfront, and you have to consider covering things that an employer usually covers. These things including taxes, insurance, and lawyers. If you are a business owner, even if you don’t think your business could be sued, it is absolutely possible. Regardless of what product or service that your business sells, there can always be a disgruntled client who may decide to sue you. It can be a lawsuit that seems absolutely preposterous, but unfortunately, hundreds of businesses get sued every year. An example of that is Snapchat. Snapchat is a company that got sued in 2015, and it was an ugly lawsuit. Not only does a lawsuit take away from your time at your business, but it is also a headache. If you do not have insurance, then you will have to pay for an expensive lawyer on your own. Apart from that, when your business does not have insurance, the individual or company that is suing you can go directly after your assets. That means that you could potentially lose your house, your car, and any savings that you may have. 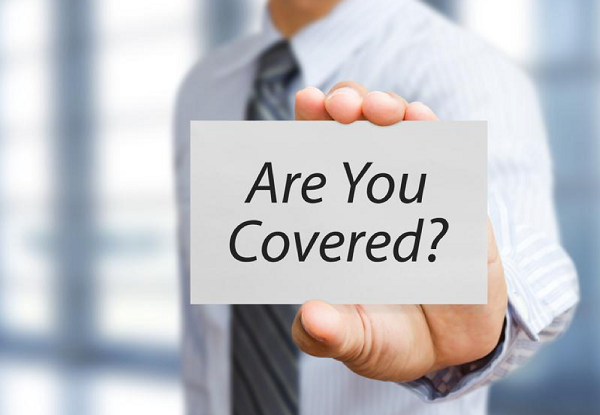 Savvy business owners realize the importance of having business insurance. Even if you never have to use this insurance, it is wise to have all of your bases covered. In that way, you can focus on your business and forget about lawsuit headaches. Securing your assets against uncertainties is something all people should endeavor to do. There are several insurance companies out there in the insurance industry that one can select. Insurance companies will sell various policies for you to consider which works for you. This article contains some vital insurance products that every family should consider. This is an insurance product that covers explicitly the events that may need financial attention after a person dies. It is recommended for married people with children. Life insurance will help in covering all the costs used in the burial process, pay for debts, and replace the lost income. It can also be useful in paying for your child’s college expenses after your death. This is an insurance product that is useful in covering your home and the assets on your premises. Unforeseen circumstance can cause a fire, or natural disasters might occur, bringing your house down and destroying all assets inside. A home insurance policy will help families to have a new home built for them by the insurance company and their assets replaced. It is recommended that you have a comprehensive cover, which caters to anything that can damage your house. Disability insurance is a product that helps in offering a proportion or all the income a person was getting before they become disabled. This policy is used in replacing your monthly income. 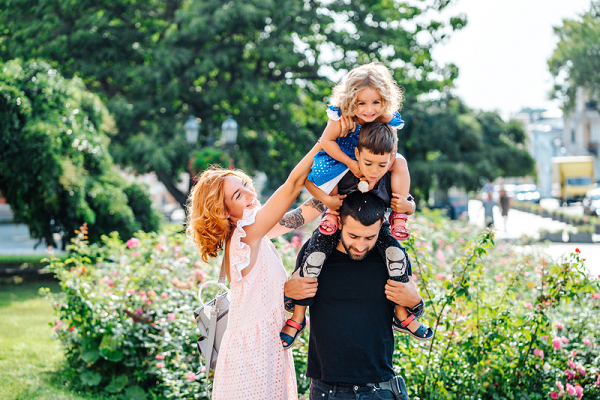 Families should acquire a disability insurance policy because it will help them to continue with their normal life, especially in situations where their breadwinner has been incapacitated and cannot provide for the family. It is essential to understand that this type of insurance policy does not cover for medical care of the disabled person but only pays out the income he/she was getting before becoming disabled. This is one of the most critical insurance products that a family should have. This financial product is beneficial in covering the expenses that may arise if a member of the family becomes sick. The primary benefit of a health insurance policy is that the cover of one person will be able to cover for the spouse and children as well. Families should give their health priority as it is what gives them the energy and ability to undertake various functions and continue with their jobs. Although some people complain about high premiums that are charged by insurance companies when purchasing a policy, the benefits that you get cannot be missed. You should consider contributing a percentage of your income toward at least one of the listed insurance policies above so you can better protect and provide for you and your family. Many people, whether they own a motorcycle or not, wonder how motorcycle insurance works and how the premiums are calculated. Due to the fact that motorcycle insurance slightly differs from car insurance, it is completely understandable why people don’t understand motorcycle insurance as well. Does Motorcycle Insurance Cost More Than Car Insurance? Motorcycle insurance does cost more than car insurance, in most cases, due to a variety of factors. Motorcycles are inherently more dangerous and fragile than cars, so motorcycle premiums need to take those factors into account. Theft is also more common with motorcycles, so premiums are higher to cover losses. What Factors Play Into the Price of Motorcycle Insurance? A person can lower their motorcycle insurance premium by doing several things. The best way to reduce a motorcycle insurance premium is to take a motorcycle safety course. These courses teach riders the basics and safety measures to take to avoid collisions. Riders should also choose the insurance policies that best fit their needs. This prevents overpaying for services that aren’t needed. GoCompare also suggests buying a smaller, older, or less expensive bike, since these tend to have lower costs for insurance than new, more powerful, or flashier motorcycles. Most motorcycle accidents are caused by a lack of awareness, either on the part of motorcycle riders or drivers around motorcyclists. However, Henry C Dailey Law Firm explains that after lack of awareness the most frequent causes of motorcycle accident are DUI/DWI drivers, distracted drivers, fatigued drivers, and reckless drivers. The best way to avoid a motorcycle accident is to develop a strong sense of situational awareness and the knowledge of what to do in the event of a possible collision. Liability motorcycle insurance is almost like the liability coverage that is offered to car owners. ValuePenguin explains, the critical difference is that liability motorcycle insurance does not cover passengers on the motorcycle. 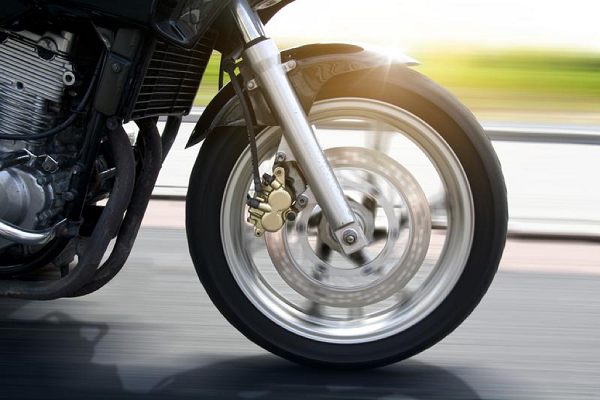 Like car insurance, liability motorcycle insurance does cover property damage to others. Motorcycle insurance does not differ too much from car insurance. However, many people wonder what the differences are due to the fact that motorcycles are perceived as much more unsafe than cars. The primary differences lie in the coverages that are offered and the way that risks are factored into the premiums of motorcycle riders. Here’s an article to check out while you’re here. Also, if you’re interested in getting motorcycle insurance, make sure to check out our coverage page! As companies get larger and more diverse, the possibility of an accusation of discrimination, sexual harassment or wrongful termination increases. As a business owner you can manage this type of risk by purchasing an Employment Practices Liability Insurance (EPLI) policy. Wrongful dismissal – A wrongful dismissal complaint occurs when an employee alleges that their termination is the result of a wrongful or illegal practice. Wrongful dismissal claims range from age discrimination, sexual harassment, breach of contract, defamation of character. Sexual harassment – Sexual harassment accusations can take form in a wide range of scenarios from unwanted physical advances, verbal interactions or visual displays and can involve managers, coworkers and even customers. Discrimination – Ethnicity, religion, gender, age and disability are just a few protected characteristics that can lead to allegations of discrimination. Everyday business practices from performance evaluations, promotions, termination of employment to customer service and accessibility can all be opportunities for discrimination accusations. If you are a business owner, it’s a good idea to be aware of your general liability exposure and have good employment liability practices in place. In today’s highly litigious society, the risk of being accused of violating labor and employment laws continues to increase. 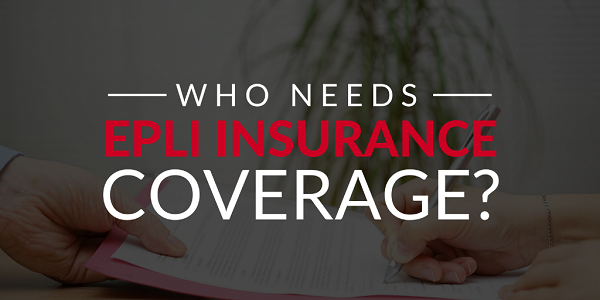 It is recommended to consider EPL Insurance if you have not already done so. The cost of EPLI is well within reach of most employers. Before you rent a vehicle, be sure to check out what your credit card and personal auto insurance offer first, then supplement what they don’t through the rental agency. If you have personal car insurance with comprehensive and liability, it most likely will cover your rental car. Call your insurance company to verify. Filing a claim with your insurance could raise your premium. Review the rental company’s insurance plans & waivers to be sure that they will protect you from paying fines on damaged cars. Some major credit card companies offer cardholders perks such as rental car coverage just for being a member. Credit card rental car insurance can be primary or secondary. Primary means it’s a first line of defense. Secondary means it’s, well, secondary and there can also be limitations to the coverage provided. Call your credit card company to discuss what coverage they offer.